Business owners everywhere know they have to keep their fire protection systems up to code, but what happens when they don’t? 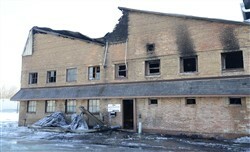 In March 2014, a fire broke out in a foundry building located in Batavia, IL, caused by a careless employee. The fire happened when no one was working in the building, so no employees were hurt. However, the fire caused considerable damage to the foundry as well as the next-door business, Dewell & Dewell, which shares a wall with the foundry. Later, an investigation revealed that the reason the fire caused nearly $500K in damages was that the former tenant, Master Cast Inc., did not maintain a proper fire alarm and fire suppression system. Now, Master Cast Inc. is being taken to court in a suit alleging the company did not have proper fire alarms and commercial sprinkler systems. The building owner is seeking $450K in damages from Master Cast Inc., and Dewell & Dewell is seeking more than $50K. The lawsuit will come to court this February. This event is only one of the many cases every year in which a lack of properly installed fire safety equipment leads to extensive damage from fires. If your business isn’t up-to-code on all of your sprinklers, suppression systems and alarms, your business could face disastrous consequences. This fire also addresses an issue that businesses don’t always prepare for– employee fire safety training. According to the Kane County lawsuit, the fire started when an employee used a grinder near cardboard boxes. An employee who has been trained well would have avoided the fire hazard, and possibly even fight the fire, using an extinguisher the right way. The best way to avoid situations like this is to ensure that you have regularly scheduled fire equipment inspections. A professional service like Total Fire & Safety can keep your place of business up-to-code and inspected on a regular basis. For information on the many services available to prevent this kind of situation for your business, contact Total Fire & Safety. Deck the Halls of the Office…..Safely! Workplace safety is always important, but do you know how to safely spread holiday cheer without creating fire hazards? Here are a few crucial tips to keep in mind as you deck your workplace halls! 1. Decorate in areas that won’t create obstacles. The best places for decorations are locations that are out of the way, but are still frequented by employees, such as reception areas, break rooms, foyers, and lobbies. Never place decorations in exit corridors, or in places that obstruct the view of exit signs, fire alarms, extinguishers, or hose cabinets. 2. Be cautious with cords! 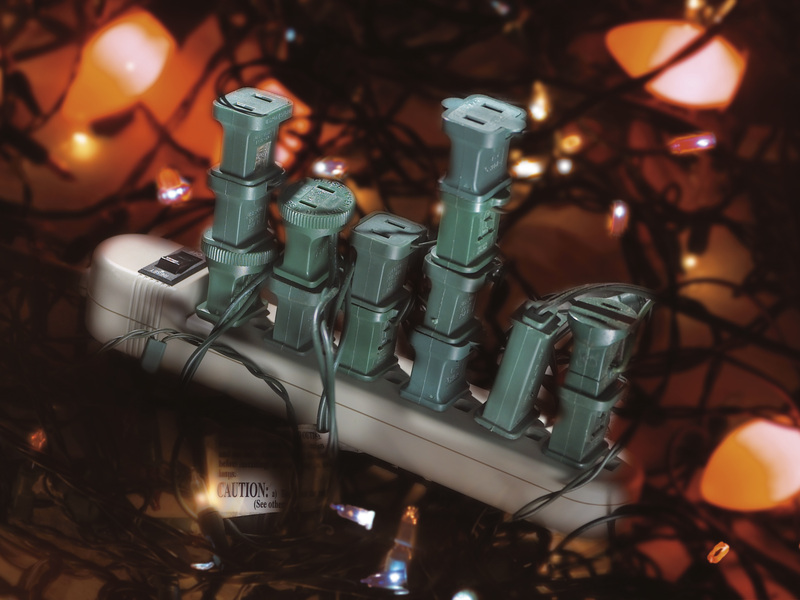 Extension cords and string lights can pose a serious fire hazard if used incorrectly. Make sure that there are no broken or frayed wires or loose connections. If any cords appear damaged, don’t use them. Never nail or staple power cords or strings of lights, as this could seriously damage them and even cause an electric shock. Also make sure not to overload electrical outlets. 3. Choose your decorations wisely. Inspect all decorations taken out of storage, especially electronic decorations, for damage before using them. Never use decorations that have an open flame. Choose fire-retardant materials for your decoration, and make sure they do not dangle or hang in places where employees could trip over them. Under no circumstances should a decoration be hanging from a sprinkler. Make sure Christmas trees or other tall, freestanding decorations are out of the way and cannot be tipped over. Make sure your holidays are safe and filled with cheer! If you have any questions about fire safety, equipment, or first aid in your place of business, you can contact Total Fire & Safety at 630-960-4823. Category: Fire Safety, Sprinkler Systems, Total Fire and Safety, Uncategorized Comments Off on Deck the Halls of the Office…..Safely!